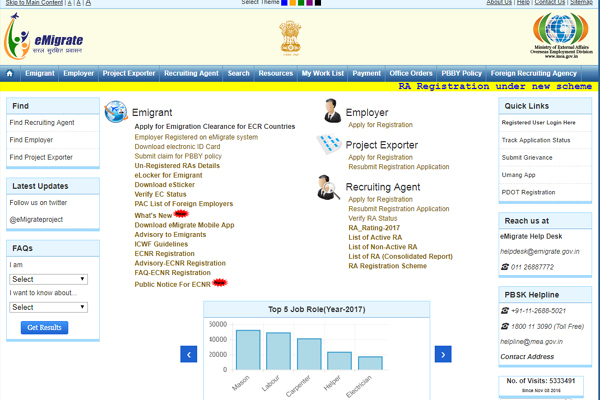 India has suspended its recent decision to make it mandatory for citizens travelling to 18 countries, including the GCC states, for employment to register online. India's Ministry of External Affairs (MEA) said in a statement that the competent authority has decided to keep the advisory regarding registration of non-emigration clearance required (ECNR) passport holders in abeyance until further orders. "Indian missions in those countries have also forwarded representations received by them for the local Indian community," said the new statement signed by MC Luther, joint secretary and protector general of emigrants, MEA.